Dussehra!! 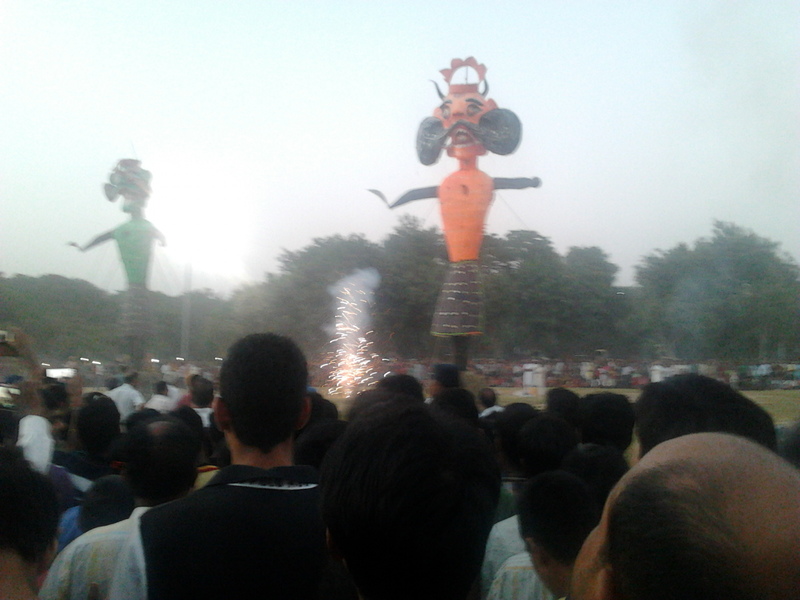 Killing the ten headed Ravan. In some mythical timeline king of Audhyoya, Sri Ram killed the evil Ravan, who kidnapped his wife and kept her in his captivity against her will. We celebrate the killing of Ravan as the victory of good on evil, VijayDashmi. But as always happened, we forgot the real essence of Dussehra victory of good over evil. We started burning edifice of Ravan on Dussehra but do nothing to the evil of society. Dussehra should be the time to think about the eradication of evil from society not just adding more pollutants in the air. So this Dussehralets follow the tradition Ram established that is removing evil from the society. In today’s society there is no space for evils like Dowry. Dowry in itself a great evil but also the root cause of many other social evils like female infanticide, inequality on the gender basis, domestic violence etc. the problem with dowry is, even if people know it exists but then also they did not acknowledge its existence. Irrespective of class, caste or education status every society is involved in this crime. This Dussehra we should take a strong stand against this evil. After independence many laws and rules were made to eradicate this evil, but due to poor execution this still remain a prevalent social evil. This evil is more visible in the rural area compared to urban, but its presence in each area cannot be contested. This Dussehra we should pledge not to discriminate people on the basis of caste. We should pledge that no political leader should consider us (voters) as their vote bank. We are no commodity and cannot be taken as granted. We should rise above the caste based politics and start to question the politicians who want to do such politics. The people of Bihar and U.P have the opportunity to fulfill the pledge this Dussehra as the elections are going on in these two states. No more we need the slogan “Garibi Hatao”. We are done listing such luring slogans for last 60 years. We need concrete action on the ground. Even if GDP is increasing with 8% rate poor people are not getting any benefit. This Dussehra let's pledge for inclusive growth eradicate poverty from the face of the country. We see it everywhere and then also we do not acknowledge it. The crackers we burn on Dussehra and Diwali are mostly made by child labor. Not kill the childhood of children by making them work for the livelihood. 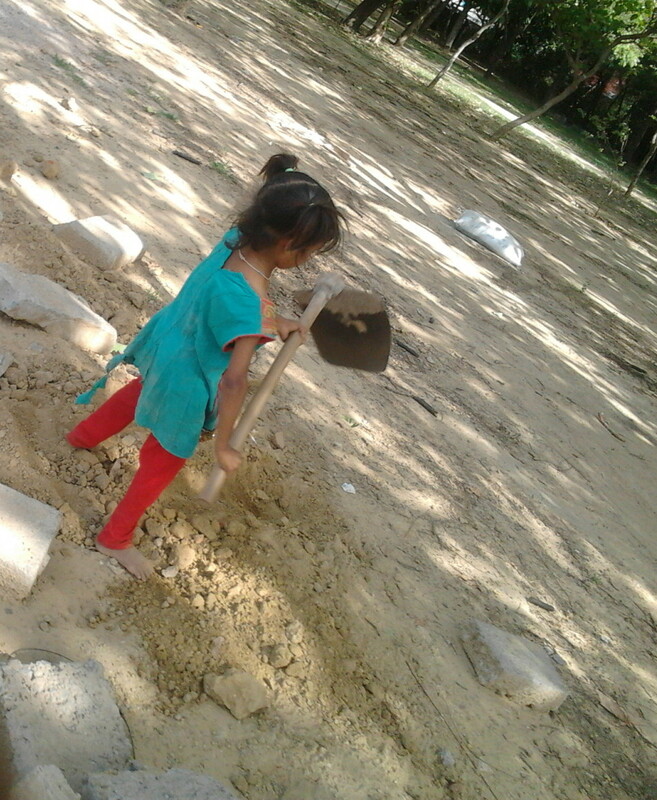 This Dussehra onwards children should play and learn not labor. Killing a life even before coming out of her mother’s womb, just because of an extra X chromosome. This Dussehra lets kill this evil, not the female fetus. Violence in any form even committed in the confined of four walls is considered as the crime. According to one study in every 29 minutes, a case of cruelty is filed. Domestic violence should not be suffered in silence but should be fought back with determination. Let’s end the evil of domestic violence this Dussehra. Let’s give another half of the society equal rights. When born equal they should have equal rights in all walks of life. They should not be paid less or harassed in the workplace. This Dussehra lets give them this gift of gender equality. There are about 7.5 million drug addicts and most of them are young. If the youth of the country is drugged addict then the future of the country is doomed. This Dussehra lets pledge to fight against drug abuse. Incident of Dadri is still fresh in our mind. As a responsible society, we should never let this happen. This Dussehra lets celebrate the victory of good over evil irrespective of region religion caste gender or any other bias.